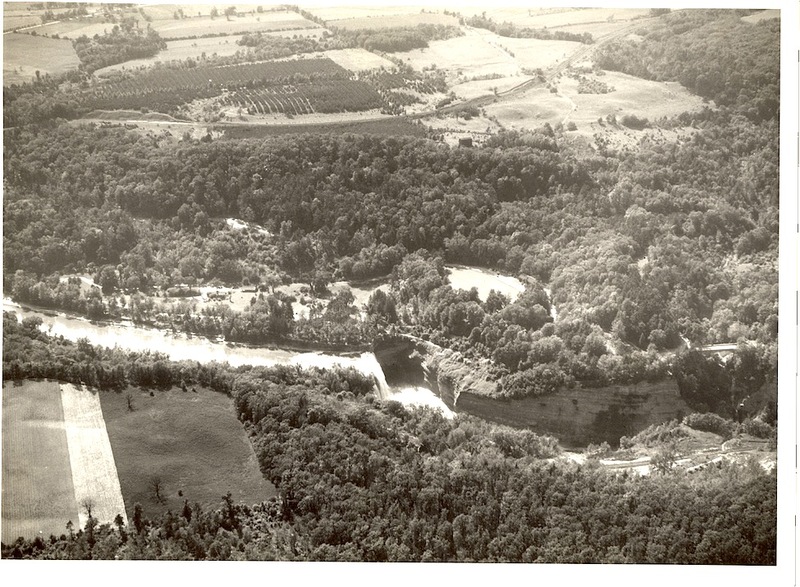 This aerial view was taken looking west across the Middle Falls which is visible in the foreground. Dehgayasoh Creek and Bridge are just visible on the right hand side and the Erie Railroad can been seen running across the image near the top of the photograph. Although the Glen Iris is hidden in trees, the Museum and the shelter on the Upper/Middle Falls picnic area can be seen. Of special interest are the arboretum blocks clearly visible near the Erie Rail Tracks. For more information on these blocks see our Arboretum Glimpse.